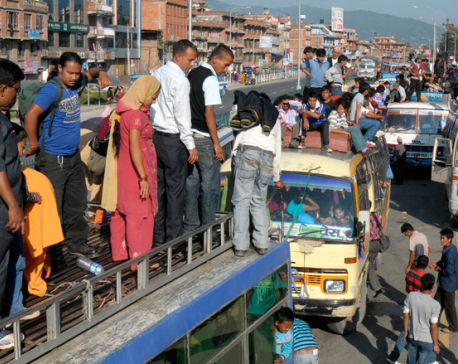 KATHMANDU, Jan 18: In a bid to promote mass transportation in the Kathmandu Valley, the Department of Transport Management (DoTM) is preparing to remove small vehicles plying in the Valley from March-end. In accordance with the government's policy of developing mass transport systems in the major towns and cities, small vehicles, including tempo, micro and minibuses, will be replaced by large buses. According to the Department's Director General Chandraman Shrestha, the Department has foreseen replacing small vehicles by the big ones by 50 percent within a year.